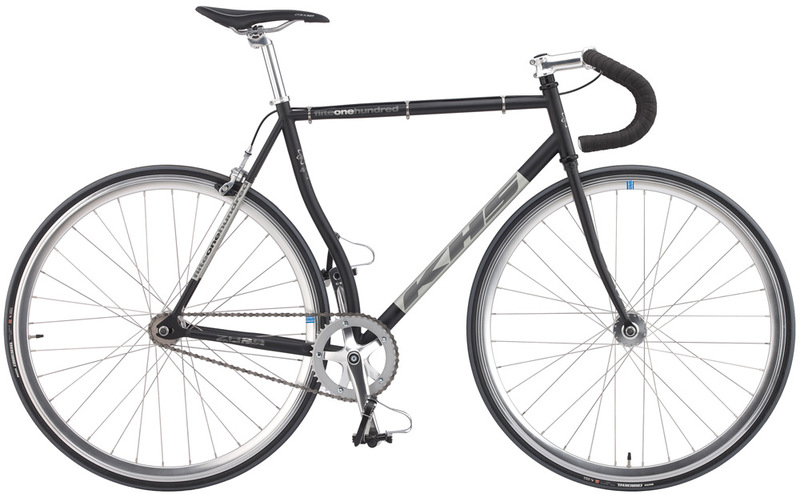 2018 KHS FLITE 100 $650 Track Bikes are built out of awesome 4130 Chromoly Steel Double Butted Tubing, Weinmann SP17 Alloy Double Wall Rims and has been a benchmark standard of track bikes for pricing and quality for decades and has been Upgraded several ways… As it comes with the alternating Flip Flop Rear Hub which accommodates the rider to use the bike as a Fixed Gear or when desired a Free Gearing 1 Speeder, I have included a New Shimano 16 tooth Freegear so it matches the 16T Rear Fixed Gear which is stock making the bike ready to go Fixed or Free Gearing. Velox Cotton Rim Tapes the standard of recessed spoke hole protection for decades are included along with Stop Flat II Tire Puncture Protection Liners which enable the rider when tires are properly inflated to virtually eliminate flat tires in my own experience going from a flat every 250-500 miles to one every 3000-6000 miles typically! For Free Gearing around a 2nd pair of Alloy Body Steel Cage Pedals with Strapless Nylon Toeclips are included to enable comfortable non foot ensnared pedaling pleasure when preferring the free gearing advantages of the bikes versatility to go Fixed or Free Gearing. All these Upgrades have been included as Lovingly Assembled with Taxes as Included for $650!